Make no mistake - serious riders have been thinking about their first spring ride since they put the bike away for the winter. But before a rider can jump on their trusty metallic steed and ride off into the sunset, there are a few checks and adjustments needed to ensure a bike is in tip-top shape prior to riding. In this post, we’ll discuss some motorcycle tune-up tips so you can grab some problem-free gears this riding season. Just like a proud sports car owner will wax and polish the 4-wheeled pride of their garage, motorcycle riders are no different. The point of pride that surrounds the unveiling and annual rebirth of your bike is an important aspect of feeling its power. Yet, the differences in cleaning cars and bikes are quite different. Depending on the age of your bike, you’ll want to avoid power-washing or blasting your bike’s engine with too much PSI. Avoid the pressure washer and instead choose the trusty garden hose, especially if your bike has exposed carburetors. Water in your carbs can hugely impact how smoothly your bike will run out of the gate. Your finish will also dictate how and which products you use to clean and protect your bike. 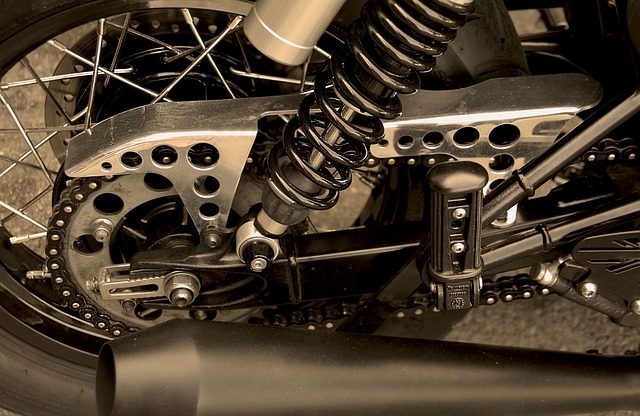 An enduro or dual sport bike will typically feature composite, carbon, or plastic fenders and tank guard body parts, so waxing or polishing these isn’t too necessary. Meanwhile, a Harley Davidson, Indian, Victory, Honda, or any other big cruiser will probably be decked out in chrome accents, metallic candy paint. Wax with high-quality carnauba wax or its synthetic wax counterpart to keep those parts shiny. It's not just washing and waxing of the chrome and finish of your bike - don’t forget to clean and condition any leather! 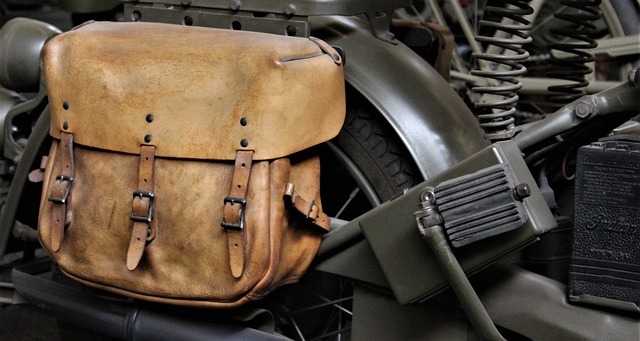 Seats, as well as any saddle bags that you have equipped, will need some deep cleaning and conditioning. This can follow a good clear out of dust or last season’s debris out of the saddle bags. As a side note, intricately cleaning your bike by hand is a fantastic way to closely inspect the inner workings of your bike. As you clean, be on the lookout for loose bolts and anything else out of the ordinary. 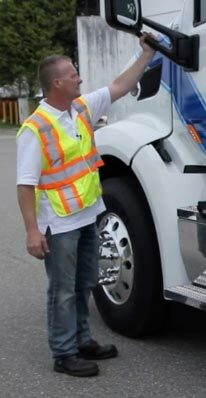 This will help your tune up efforts and keep you and other road users safe. The clutch is the main player in transition of power from your engine to the transmission. 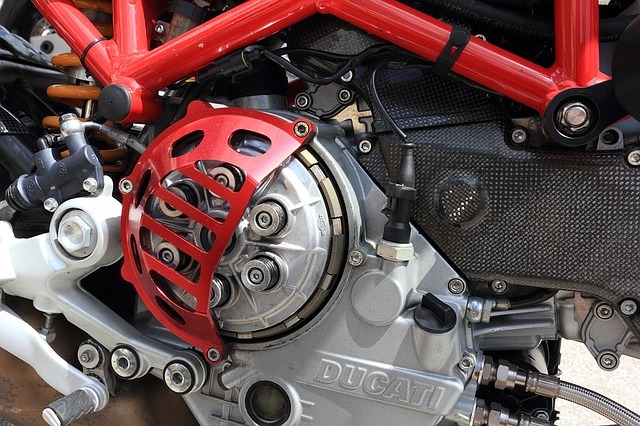 As an integral part of the riding experience, the clutch should be #1 on your list of spring tune up considerations. After a long season of sitting idle, clutch cables can slack and harden, meaning that adjustment of your clutch is a critical aspect of a successful first ride. First, check your slack to inspect how hard or easy the pull of the clutch lever is. You’ll ideally want to see and feel less than ⅛ cable movement before the cable engages the clutch mechanics in your transmission. Visually, check the cable for any abrasions, frays, or damage and replace/adjust as necessary using standard tools - namely a screwdriver and wrench. Second, adjust the pushrod. Start by loosening the ball-and-cam gizzer that allows you lever to pull the cable, and inspect the amount of free play you have to work with. There should be no pressure. Locate the pressure plate rod and closely inspect the end play when squeezing the lever. Loosen the locknut and turn the screw until you feel the cable tighten to the desired tautness. Plug in a trickle charger to help charge up your battery power after a long winter of storage. A trickle charger is your best bet to salvaging any charge that’s leftover - small motorcycle batteries should generally not be boosted with a larger car battery system. If all else fails and there’s still a failure to start, head down to your local parts shop and order a new battery. You don’t want to be caught on the side of the road with a dead battery! Pro tip! Always store your battery indoors over the winter to help acclimatize the battery for an easy start up. Over the course of a few seasons, the rubber compounds in most tires will harden following their reaction to heat on the road. Check your tires for any major signals of cracking or warping - especially along the sidewalls. Checking the tread depth is also a good idea, and all motorcycle tires are outfitted with a wear-bar that tells the rider when it the opportune time to replace the rubber. If they’re approaching the end of their life cycle, consider replacing them as soon as possible. Tires are the connector to the road and working in unison with your brakes are the performance measure of braking, handling, and acceleration; bad tires increase the chance of problems or accidents. Lastly, check tire pressure and inflate according to the recommendation inscribed on the tire itself. Your bikes’ chain is the vessel that connects your clutch and engine to the wheels. Faulty chains mean significant time sitting on the side of the road waiting for friends or tow-trucks, so tuning up your chain is a very important aspect of the spring ritual. First, clean your chain with a good quality solution and a DIY tool like a toothbrush or a purpose-built motorcycle grunge-brush. Spin the wheel after putting the bike in neutral to efficiently wipe off any excess cleaner, then proceed to lube the chain AFTER your first ride; a hot chain is more accepting of a quality lube application. Check the slack of your chain to make sure it’s maintained an ideal tightness. Too loose and you’ll need to tighten up the wheel adjusters or eccentrics. Don’t Be Afraid of a Little Help! This list is a suggestion on the tune-ups and attention you bike may need at the start of a new riding season. If you come across anything in need of repair, we suggest bringing your bike to a certified mechanic for them to look at. They will be able to provide an inspection, a complete servicing, and peace of mind that your machine is in good hands! Spring is filled with the zest of life. 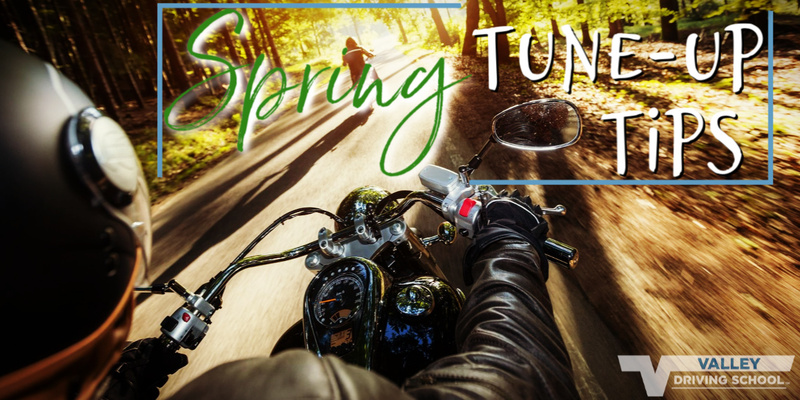 It’s a time of renewal, a time of action, and a time of eagerness - especially for new motorcycle riders and experienced alike. 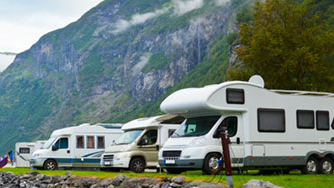 Checking off the tune up recommendations on this list will ensure you spend more time on the road, and less time on the side of the road.